Deutsche Post, operating as the Deutsche Post DHL Group, is a German postal service and international courier service company. It is the world's largest mail and Logistics Company. It functions under 2 brands: Deutsche Post as Europe’s leading postal service provider and DHL is uniquely positioned in the world’s growth markets, with a comprehensive range of international express, freight transportation, e-commerce and supply chain management services. Deutsche post employs approximately 520,000 employees, as of 2018 in over 220 countries and territories worldwide. Their products and services are targeted towards both private and business customers and range from physical, hybrid and electronic letters to merchandise delivery and include additional services such as cash on delivery, registered mail and insured items. Deutsche Post’s mission statement reads “Excellence. Simply Delivered. – is our guiding light.” Their vision is to be The Logistics Company for the World. Deutsche Post DHL Group’s USP or unique selling proposition lies in being the world’s leading mail and logistics Group. With over 5 centuries of postal history, Deutsche Post is credited with founding of the modern postal system to the establishment of the world's leading logistics group. 1. Robust presence in Germany: Deutsche post is “The postal service for Germany”. Delivering 59 million letters every single day it is clearly the undisputed and largest postal service in Europe. Deutsche Post hauled 61.7% share of Germany’s €4.5 billion market for business communication. With around 11000 paketshops, 3200 Packstations, 13000 retail outlets, over 1.1lac post boxes, 2800 sale points, Deutsche Post executes over 1.08 lac letter and parcel deliveries. DHL also boasted of a 45.4% grip of the German parcel market which had a volume of €10.8 billion in fiscal 2017, as they maintain a thick network of parcel pick-up and delivery points in the nation. 2. Market leader in key business sectors: DHL remains the undisputed market leader in majority of its business sectors. The global market volume for outbound international mail summed to € 5.9 billion in 2017 and DHL alone accounted for 16.4% of market share. The international portfolio of e-commerce services was expanded to include 26 countries in Europe with over 60,000 drop and pick up point available to customers in Europe. Outside Europe, the Company started operating national parcel networks in Chile, Malaysia and Vietnam. The global express network which deals with transporting urgent documents and merchandise in time from door to door is spread across 220 countries and territories, servicing 2.7 million customers. The global network also includes several airlines, some of which they own 100%. DHL owns five airline subsidiaries, with a fleet strength of 96 aircrafts and another 21 aircraft on orders. DHL leads the international express market in Europe with a significant 44% market share much ahead of competitors like FedEx (10%), TNT (11%) and UPS (24%). For Asia Pacific region too DHL holds a remarkable dominance of 49% market share. DHL continued to consolidate their market leadership in 2017 as the air, ocean and overland freight forwarder. Their networks global presence gave them a competitive advantage to offer efficient routing and multimodal transport. The worldwide freight tons kilometers in 2017 grew by 9.0% with approximately 2.1 million transported express freight tons. DHL also remained the world leader in contract logistics which come under the umbrella of customized supply chain solutions, leading a fragmented market contributing 6.2% with market volumes around € 2.2 billion. 3. High Quality Customer Support: Deutsche Post is shifting towards more value added services, such as digitization in customer service to enhance customer experience. DHL is also working towards bringing people from different disciplines which helps strengthen the way everyone works as a team which ensures high quality service. Deutsche Post Group DHL is launching DHL Global Forwarding, a bi-weekly transpacific flight to meet demand and to secure capacity for US customers. Deutsche Post’s unparalleled ability to offer a spectrum of logistics solutions – from mission-critical express deliveries to economical freight transportation, from taking the complexity out of customs to managing the complexity of global supply chains reflects their customer centric approach which keeps customer convenience and needs a the heart of every operation. They also have time-definite international shipments that come with complimentary industry specific needs as their core business to tailor to specific customer needs, like thermal/ temperature-controlled packaging, collect and return services etc. Their global network is spread across more than 220 counties and territories servicing 2.7 million customers. 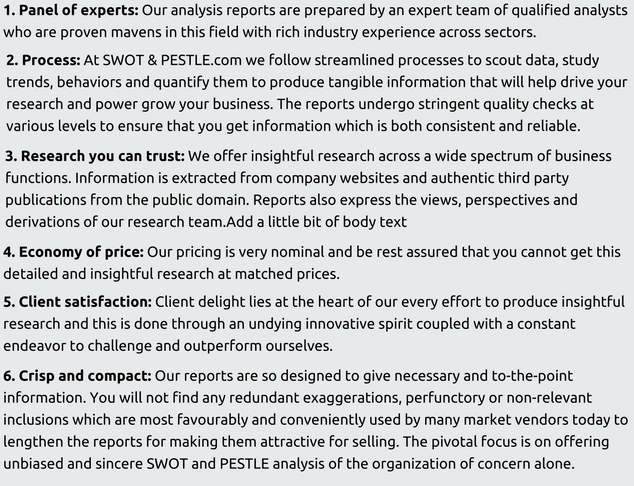 The remaining section of Strength is available only in the 'Complete Report' on purchase. 1. Changes in custom regulations due to Brexit: Trade tensions among nations have posed a risk and Brexit has added to the issue. The main issue that is bothering the company is the changes in the custom regulations. However, Deutsche Post is looking at Britain’s departure from the European nation as an opportunity and thinking of ways in which these opportunities can be leveraged. The company is ready to invest in staff and systems if it is required to capture the opportunity. 1. Undergoing technology transformation: Technology enhancement has resulted in a revenue growth of 12% in 2017. Technology enhancements like Internet of Things, Artificial Intelligence and block-chain are posing promise to all companies. Deutsche post is building on augmented reality technologies like smart glasses that provide visual displays of order picking instructions and item locations is already in place and has increased productivity by 15%. DHL Global Forwarding, the leading specialist in air and ocean transport, and DHL Express, the world’s leading international express delivery company, also uses virtual reality and artificial intelligence for employee training programs and optimize customer service. DHL is aiming at developing electric cargo bikes for urban logistics and testing of smart locks for in-home delivery. 2. Heavy investments in the technology for efficiency enhancements and cost reduction: Group is investing heavily in measures like automation, digitization, and continuous improvement, increased last mile productivity and intelligent network utilization and is aiming to lift PeP operations through regular investments of €100m – €150m Deutsche post DHL will come with restructuring costs of €500m in 2018 and will implement it in 2018 and 2019. The Group expects that the program will lead to an annual cost reduction of at least €200 by 2020. Group is also investing in supply chain enhancements and e-commerce. 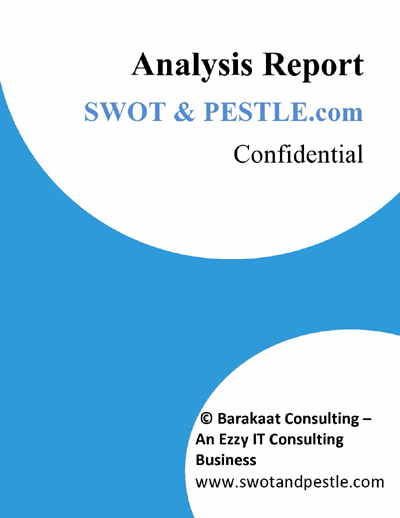 Deutsche Post SWOT and PESTLE analysis has been conducted by Priyahansha and reviewed by senior analysts from Barakaat Consulting. 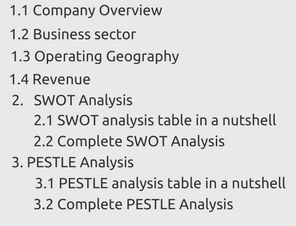 Copyright of Deutsche Post SWOT and PESTLE Analysis is the property of Barakaat Consulting. Please refer to the Terms and Conditions and Disclaimer for usage guidelines.